-Richard- Some photo's to identify Norton girders. 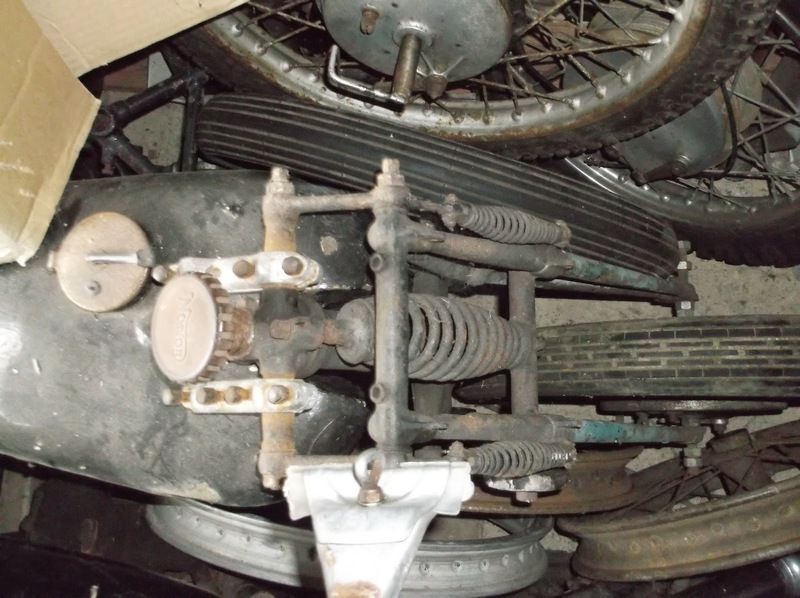 The pictures of the forks in-situ (above) are 1946 Model 16H type. The main points are the four headlamp lugs (Inters never had these) and the off-side brake anchor. The four small headlamp lugs were only used on the post war girders. I have seen a couple of Inters fitted with (modified versions of) these forks in recent years. 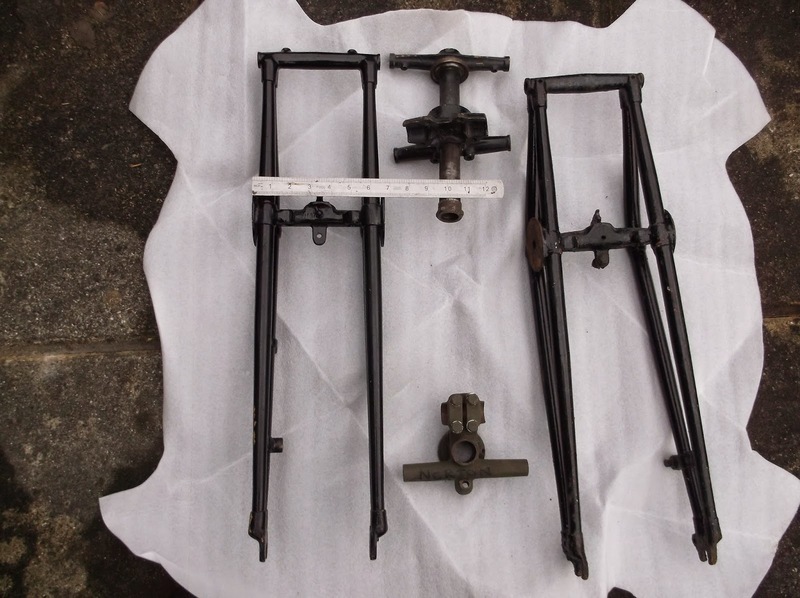 The other photo's show the forks from my 1939 Model 30 Inter' (left) alongside a set of blades from circa 1933 16H/ES2 type for comparison (on the right) as these are the same dimensions as the 1946 ones. 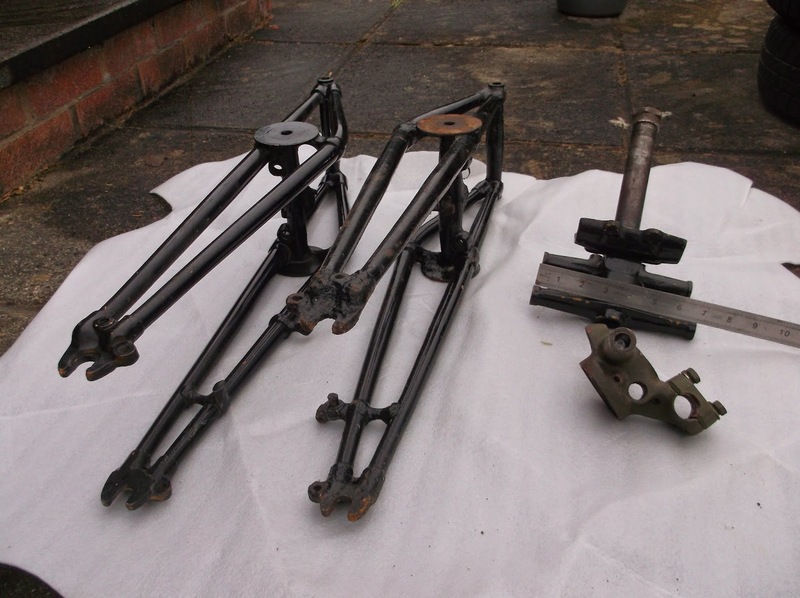 All Norton girders have the same dimension across the top spindle but the difference at the bottom spindle is half an inch wider on the splayed 1946 type which has the interchangeable wheels. 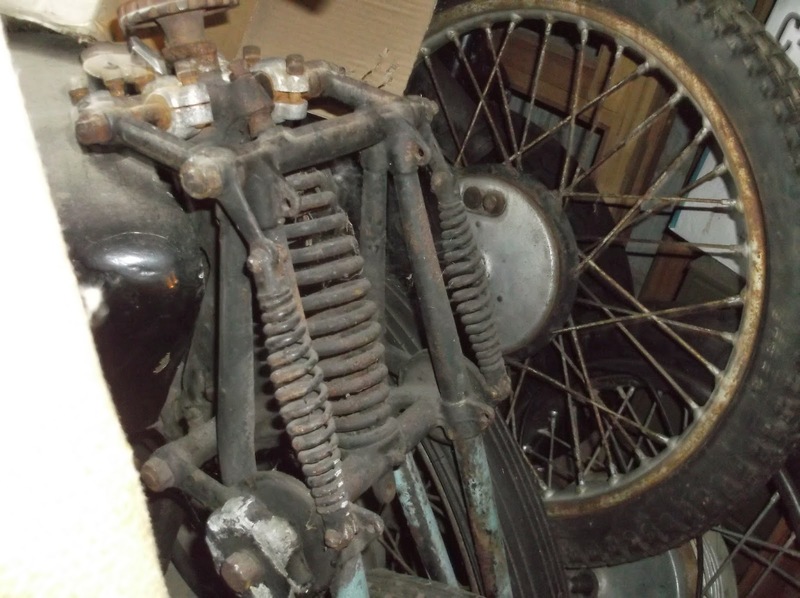 Also notice the brake plate anchor which is oval on the Inter' instead of round and the position of the cable fitting lug which is separate and much higher than the standard forks. These features were used from 1936 to '39. 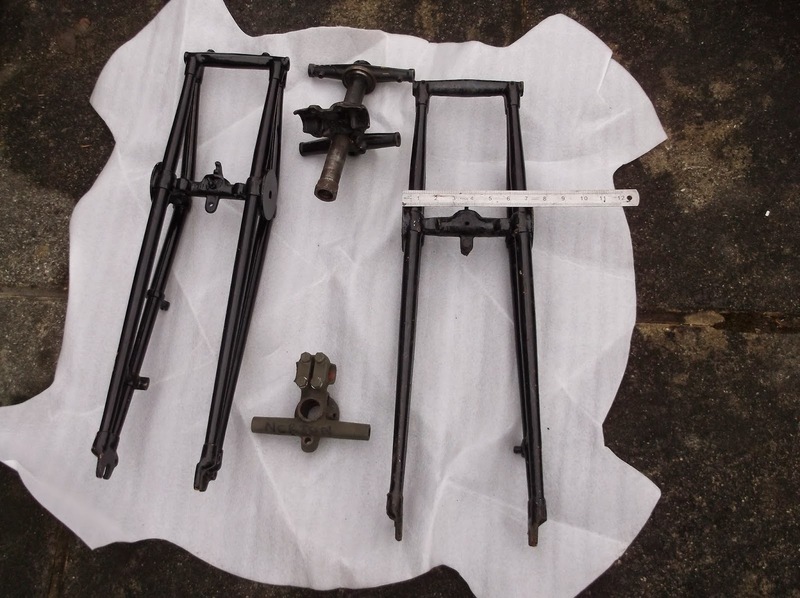 Cut the bottom forging of the blades and remove material and then braze back together and line ream the forging and also reduce the width of the headstock bottom yolk all of which is best done by someone with the relevant skills. Heat the fork tubes below the bottom forging and bend the tubes to a suitable pre made jig, bit of a bodge but it would work.